In 2013 we were part of a wider group of companies that linked our IT servers together. As our business grew substantially we needed to move to an independent IT infrastructure. 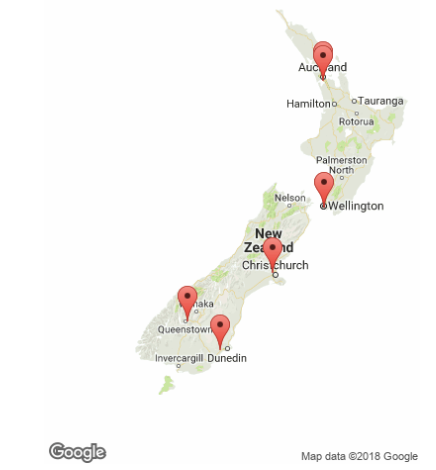 Office 365 was an excellent way to link our multiple locations together without investing in new server infrastructure. Our migration to Office 365 happened in May 2013 and initially only office-based staff had access. Now we have all staff connected through kiosks throughout New Zealand. By operating in the cloud our multiple locations have easy access to all our systems and our team can travel between locations and still feel as though they are working from their own desk. Crucially, our data is always up to date and synced which makes a huge difference in this industry. All rental documentation is stored in SharePoint Online so any team member can locate a customer’s information at any time regardless of where they picked up or dropped off a vehicle. Office 365’s Yammer was an unexpected gem that we now use to create a collective company culture across all our branches. It’s easy to use so it encourages a high level of engagement amongst the whole team. Being able to upload centralised training documentation and deliver messages through multiple channels – especially through Skype for Business and Yammer has been invaluable. Because we have immediate access to updates and new technologies through Office 365 we’re encouraged to continue to be dynamic with technology solutions and are simply not allowed to become staid. This means we’re constantly looking to improve and to push our boundaries with what can be achieved through Office 365, including a move towards a more paper-free workplace this year. The expertise provided by Lancom has been vital to get us this far, the team make an effort to understand our strategies and therefore are able to structure advice accordingly. We feel fortunate to partner with Lancom and gain both a local in-house feel with true independent expertise. take the next step in your business, with the cloud.